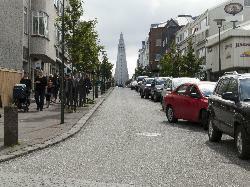 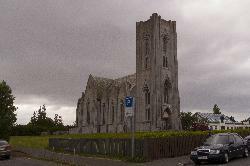 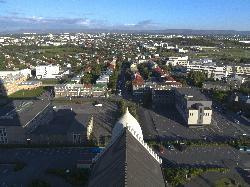 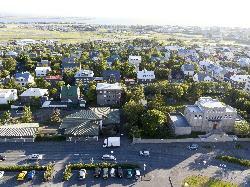 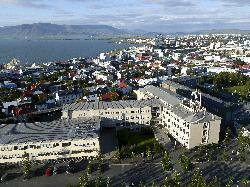 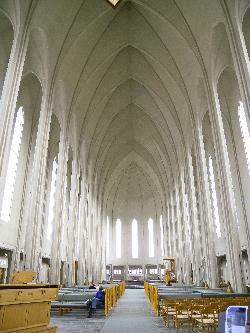 Hallgrimskirkja (Hallgrims Church) in Reykjavik. 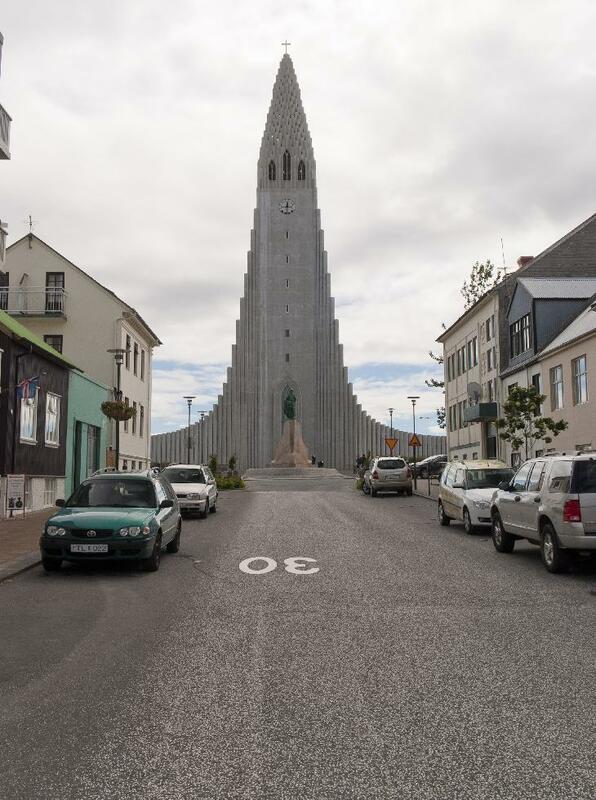 Tallest building in Iceland. 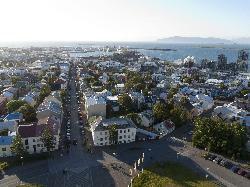 Designed to resemble the basalt lava flows of Iceland's landscape.